Joel and Roz Bieler started Country Haven Campground and had it for years so when it was sold several years ago I was worried it wouldn’t be as good. Not to worry. Of all the many campgrounds we go to this is by far the best. We have been going so long that we know many of the people living in the area, all who are nice. Make sure to go to the bake shop across the street on Friday and Saturday for really good food and to Bieler’s fruit stand just up the street for fresh garden goodies. The food is good and the prices are too. 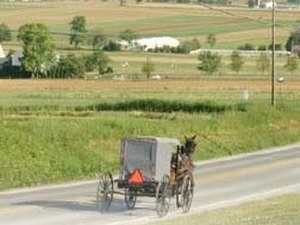 The people who have these places are Amish so be on your best behavior. They are wonderful people and aren’t used to anything different. You’ll really like it here but it isn’t the best place for little children. It’s just nice and quiet. Not a lot for children to do although there is a swing. This place is a plus.